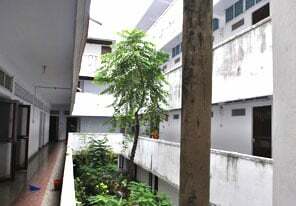 The guest houses affiliated with Sri Aurobindo Society aspire to provide a conducive spiritual atmosphere. The guest houses are located very close to the Ashram and beach. Due to high number of requests (especially during the significant Ashram dates), we recommend making early reservations. Special passes are provided by the guest houses to visit the Ashram main building which houses Sri Aurobindo and Mother’s Samadhi from 5 am to 11 pm are made available on request at the reception. Visitors are welcome to join the evening collective meditation at the Ashram main building on Monday, Tuesday, Wednesday and Friday. Upon arrival, Indian nationals must present their ID at the reception desk. Foreign nationals and NRIs (Non-resident Indians) must present their passport & Visa at the reception to fill out the mandatory Foreigner’s Registration Arrival Report (Form ‘C’). 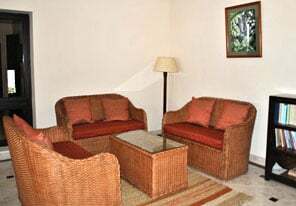 Needless to say, the Guest house rules are to be followed strictly as we wish to retain a quiet and spiritual atmosphere for all guests and visitors. Online reservations are not available as yet. Please communicate directly with the guest house you are interested in either via email or by phone. Address: 14, Goubert Avenue, Puducherry – 605 001. If cancellation is made between 0-3 days prior to the date of arrival, the advance paid for the reservation will be non-refundable. If cancellation is made between 4-10 days prior to the date of arrival, 50% of the advance will be refunded. If cancellation is made before 10 days of arrival date, the advance will be fully refunded. Registration Certificate No. (Form-A) and Residential Permit No. are to be furnished in case of foreigners who are working/staying in India for long period. Guest house main gate opens by 6:00 am and closes by 11:15 pm. The management reserves the right of admission.Servants of the guests are not permitted to stay on the premises—please make separate arrangements for them. Smoking and alcohol not allowed in the guest house premises. This is the revised tariff, with effect from 1st March, 2019. Applicable tax (GST) will be charged over & above the tariff. Extra person/mattress (no bed frame) will be charged at Rs 600/day. Children below 5 yrs. will not be charged. Room key shall be handed over to the reception while going out. Loss of key will cost Rs.500/- (five hundred) to the guest. As per instruction of Sri Aurobindo Ashram, dining room, coupons will be issued only from the Bureau Central. Visitors pass for visiting the Ashram and attending other activities of the Ashram can be had from the reception. Please return the pass at the reception counter while checking out. Bank Address: 21, Law De Rouristan Street, Puducherry - 605 001, India. Payment by Credit Card is now accepted. For our bank particulars for transfers from abroad, please download the details here. 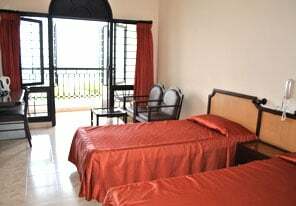 The Retreat has similar features, amenities, requirements and rules & regulations as that of the Seaside Guest house, and is just a couple of blocks away from it. Address: 16, Goubert Avenue, Puducherry – 605 001. As per instruction of Sri Aurobindo Ashram, dining room coupons will be issued only from the Bureau Central. Address: 47, Netaji Subash Chandra Bose Salai, Puducherry – 605 001. Cancellations must be notified at least 15 days in advance, for full refund of advance payment. Guest house main gate opens by 5:00 am closes by 10:30 pm. No meals, only tea and coffee are available. 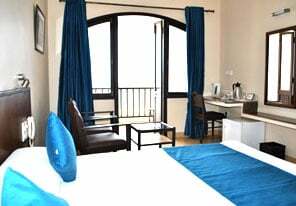 Person above 5 years will be charged Rs 250/- each with or without mattress and Rs 400/- each for an extra bed in Non-A/C deluxe rooms. 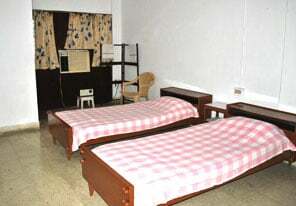 For A/C rooms, extra bed will be provided @ Rs 450/- each. As per instruction of Sri Aurobindo Ashram, dining room, couponsWill be issued only from the Bureau Central. Visitor pass for visiting the Ashram and attending other activites of the Ashram can be had from the reception. Please return the pass at the reception counter while checking out. Please note that we undertake bookings only directly and NOT through any other agents.